The College’s amnesty policy — which grants intoxicated students under 21 exemption from punishment in certain cases — will “definitely” be in effect during the Harvard-Yale football game at Fenway Park on Nov. 17, Athletics Director Robert L. Scalise said in an interview last week. The policy dictates that students who approach Harvard employees to seek help for themselves or for intoxicated friends will not be punished for underage drinking. It does not cover other inappropriate or illegal actions students commit while drunk, however, and the College cannot prevent local or state authorities from arresting students for other crimes. The Harvard University Police Department will work the Boston Police Department to provide security at The Game. BPD will have “ultimate jurisdiction,” though, because The Game will be played at Fenway in Boston, Scalise said. 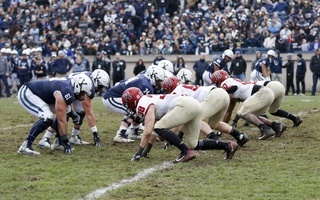 The location of The Game this year marks a break with tradition — the match-up typically takes place at Harvard Stadium when the two teams face off in Cambridge. Harvard and Yale alternate hosting The Game every year. Administrators have said they decided to hold Harvard-Yale at Fenway, the home field of the Boston Red Sox, to accommodate “restoration work” at the Stadium. 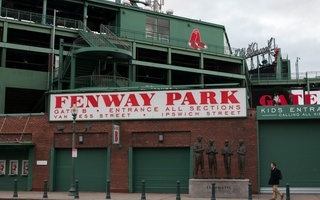 HUPD spokesperson Steven G. Catalano wrote in an email that one “HUPD command-level supervisor” will be stationed at Fenway to liaise with both BPD and Fenway security officers. The College’s amnesty policy only applies when students seek medical assistance from Harvard employees. BPD is under no obligation to grant underaged students amnesty if they are drunk. BPD did not reply to an email Wednesday asking how officers would respond if they encounter intoxicated and underage College students at The Game. The Athletics Department hopes officers and Harvard employees can “intervene in a situation before it escalates,” Scalise said. 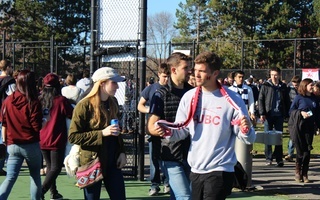 The Game typically marks a day of heavy drinking for many undergraduates. Some logistical details of this year's Harvard-Yale matchup are still being ironed out, Scalise said last week. In particular, Scalise said he is still “working out the final details” of what will happen if students need to be transported to a hospital. Dean of the College Rakesh Khurana said in an interview Monday that the Dean of Students Office and the Athletic Department will soon send an email to students detailing the College’s protocols for medical care at The Game. Harvard will also work with Boston authorities to set up a medical tent at Fenway, Scalise said. Staff from Harvard University Health Services will work with Fenway medical personnel to treat any students who need medical attention. “The goal of what we're doing is to create a great event for our Harvard and Yale communities, to create an event that is safe and an event that honors the contributions of all the people who are participating and is respectful for our neighbors,” Khurana said. 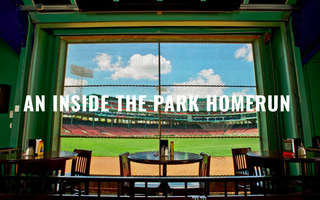 The Game's relocation to Fenway has proven controversial on campus. Some undergraduates have said they are frustrated that, per Fenway policy, game attendees will be required to sit in assigned seating. Later, so many students tried to sell their College-allotted tickets that administrators sent emailed rebukes reminding undergraduates that ticket scalping violates Athletics Department policy.